Armored kill focuses on bigger maps, and will include the biggest map ever in battlefield history. Hopefully it won't be overly big, and you'll actually be able to get in a vehicle! This pack will also include new tanks, ATVs, and other vehicles. They're trying to make it so these maps will have more vehicle "mayhem"/frays. Armored kill is set to be released sometime this fall. As for End Game, one can only guess! (as they haven't released much information as of yet) This one will be released in the winter... and title to me sounds like it'll be the last of the dlc packs to be released. Frankly, I gave a compliment to one of our competitors. It’s got a subscription on the back end of an FPS title. I think that’s a best-in-class performance. The reason this is such a fast-growing revenue stream for us is we’re identifying and implementing best practice across the range of our products, and you’ll see lots more to come including an announcement near term that Peter just alluded to. This was said about a month ago, and they didn't mention anything about it during the GDC, so we may not see this in Battlefield 3, at least not for a while. However, I wouldn't be too surprised to see something like this in their next battlefield game. 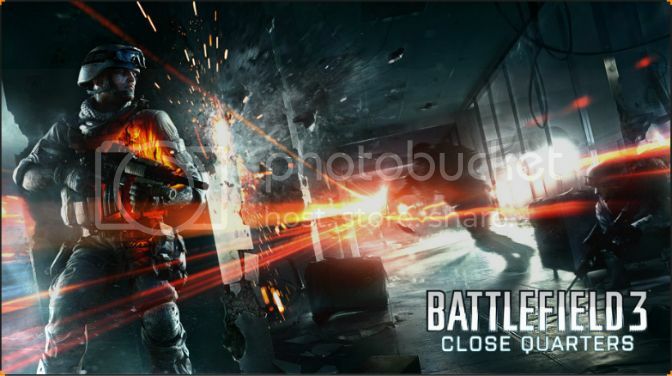 I'd rather not see this come into play for battlefield 3, unless all the kinks are worked out and they fix other issues that are currently in the game. You can read more about it all here and here for dlc, and here for the paid sub. The DLC sounds nice. I just hope that it won't be something that will cost too much money. I'm wondering why they are not doing the same as they did with BC2? Where they release these new maps for free, and update the maps for other gamemodes. It was something I thought was pretty awesome. As for the paid subscription thing, that sounds like a bad idea. I don't want to pay every month or so for a game like BF3. Or any other BF game for that matter. Yeah I'm hoping it will cost only about 15 usd or so.. But they haven't said anything about the number of maps, nor the pricing yet... I think 15 is a good guess considering B2K is that price..